It’s a lot more fun taking a seat in a chair created just for you! 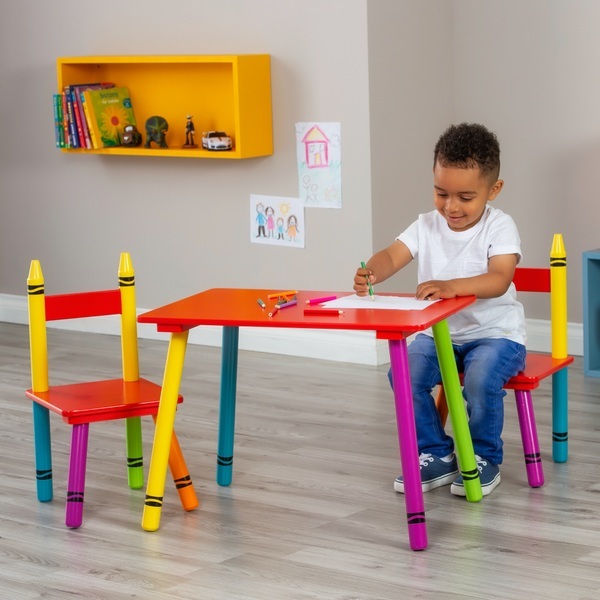 This crayon table and chair set is perfect for little ones. The kid- sized pieces are lightweight and easy to carry, yet durable enough to handle the rough and tumble of everyday play.